Where's that?? - locate Llanfynydd on a map of South Wales. Earlier this week I visited the parish of Llanfynydd deep in rural Carmarthenshire. The visit arose out of a question posed by a contact in Washington State, USA about a flower — an iris named Nant Gwilw — named after a place in Wales. We discovered the name Nant Gwilw also formed part of the address of Unicorn Books, a book publisher based in Llanfynydd in the 1970s. A search of the relevant Ordnance Survey "Explorer" map (sheet 186) revealed a property named Nant Gwiliw situated in the valley of the river Cothi in the parish of Llanfynydd, only 30 miles from my home. As the weather was fine I decided to investigate further by making a visit. I spent a most pleasant two hours exploring the parish, the village of Llanfynydd, and Nant Gwilw itself. 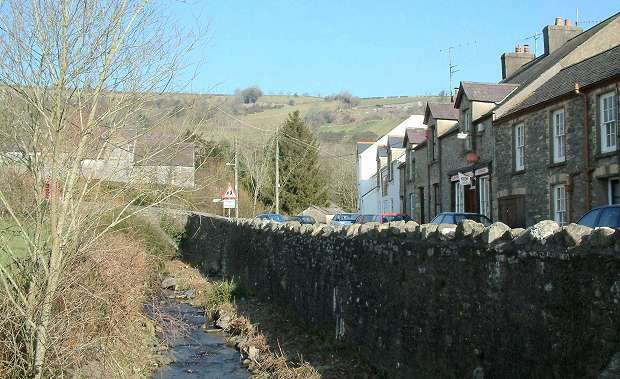 Left: Llanfynydd village and its parish church nestle in a hollow through which flow the upper reaches of Afon Sannan, a tributary of Afon Dulas, itself a tributary of Afon Tywi. 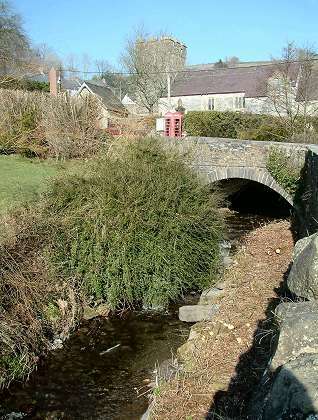 The church is in the heart of the village, near a stone bridge which carries the main road over the Sannan. 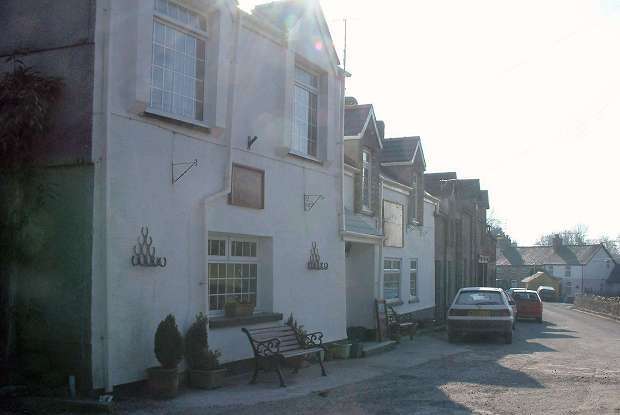 Below: Across the bridge from the church is this terrace of old properties in which are situated the village post office, general stores, and the village inn. 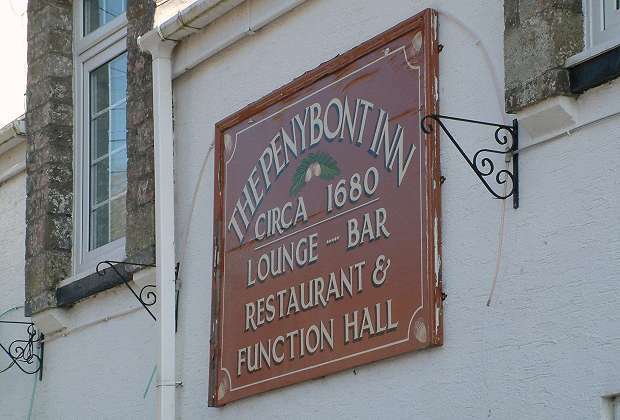 Above: The appropriately-named Penybont Inn — pen-y-bont = bridge-end. Above: The sign indicates that the inn dates from circa 1680.